Can you have any control on whether you will lose your sense of hearing? There are many causes of deafness and certainly some are preventable. o Hereditary Disorders: Hereditary deafness happens when the parents pass the defect on to their children. It means that people are born deaf and this is generally caused by the malformations of the inner ear. 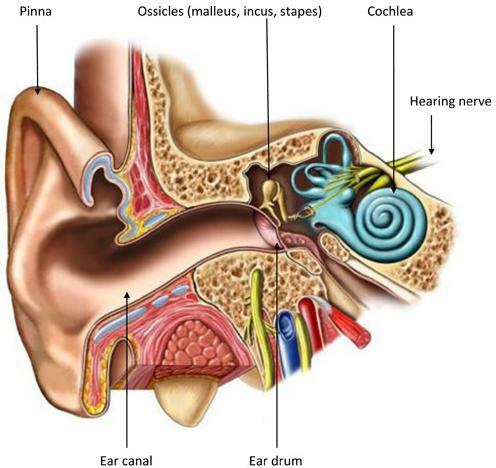 o Genetic Disorders: Genetic deafness occurs when the baby is in the mother's womb. o Prenatal Exposure to Disease: When pregnant mothers suffer from rubella, influenza or mumps, the baby born will either be deaf or will have some hearing problem. o Noise: Loud noise like gunshots, firecrackers, explosions and rock concerts tends to damage the ear mechanisms. A single exposure to loud noise does not damage the eardrum. Repeated exposure to sound over a long period of time will affect the ear with moderate to severe hearing loss. o Disease: There are certain diseases that cause loss of hearing such as meningitis, mumps, chicken pox and cytomegalovirus. In the case of meningitis, the inner ear tends to become inflamed which leads to deafness. o Trauma: A hole in the eardrum, a fractured skull or changes in air pressure lead to deafness. o Wax: The ear canal produces a waxy substance, which is useful in lubricating and protecting the tissues. This has to be cleaned out once in a while. If not done, the wax will build leading to short term deafness. Even foreign substances such as the tip of a cotton bud or a hairpin can cause hearing loss if they puncture the eardrum. This is not too serious as the eardrum heals on its own, although it can take a few weeks. o Excess Mucus: Excess mucus is caused either due to the common cold, hay fever or other allergies. This blocks the Eustachian tube, which leads to loss of hearing. o Ear Infections: During an ear infection, the fluid and pus fills in the middle ear. This does not allow full transmission of sound and leads to partial hearing. o Drugs: There are certain drugs like chloroquine, which lead to temporary deafness. o Age-related Hearing Loss: This type of hearing loss is commonly found in old people. This is normal and rarely leads to deafness. Age-related hearing loss also known as 'presbycusis' begins with loss of certain speech sounds like 'S', 'F' and 'T'. o Tinnitus: Tinnitus is the ringing sound in the ears. Middle ear infection and damage caused by loud noises can cause tinnitus. This disease can cause psychiatric symptoms. o Occupational Hearing Loss: Men working in bars, pubs, and nightclubs are liable to have their sense of hearing impaired. Such people are exposed to loud noise most of the time. 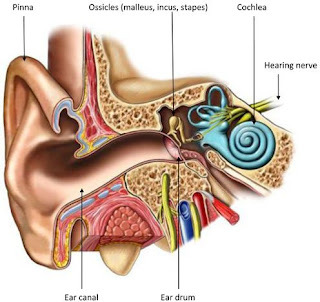 The deafness is caused by the damage to the hair cells of the organ of Corti in the cochlea. In addition to the above causes of deafness, there are many unknown causes. Loss of hearing is a serious problem. Some say it is worse than losing one's sight. People lose their quality of life due to the isolating nature of the condition.